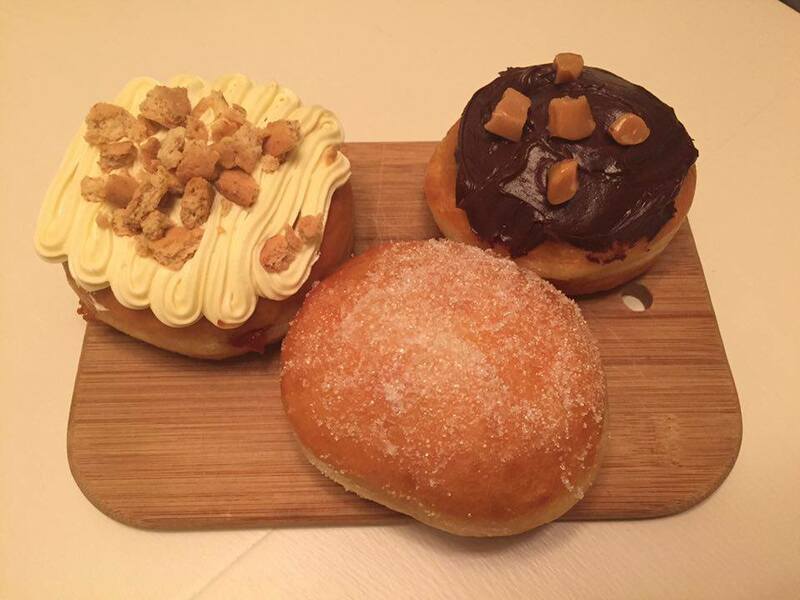 When I came across Halo Donuts on Twitter, I was mesmerised by their range of flavours featured on the website. From classic Crispy Glaze to Lemon Meringue, even Bacon!? 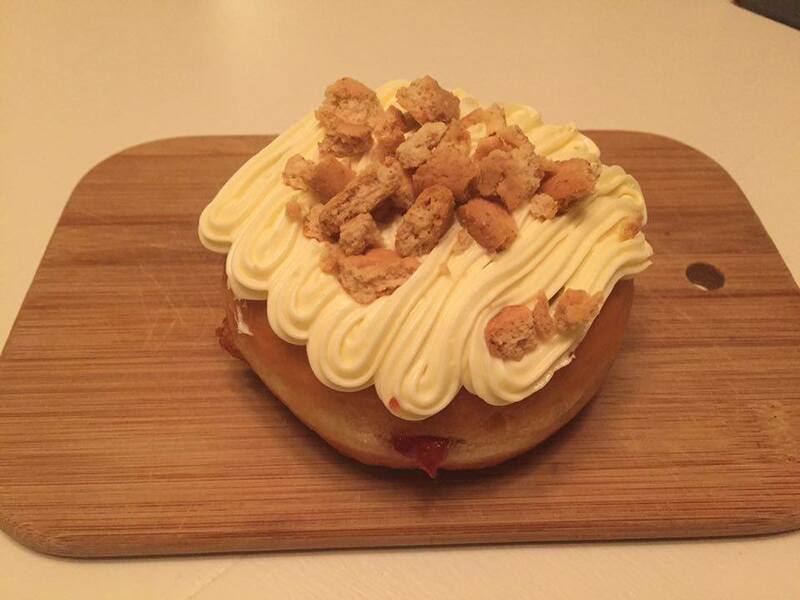 With a company ethos of 'from home to home' you know that these doughnuts are made with love. 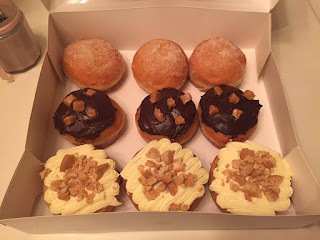 Richard and Shanade set up Halo Donuts after watching American TV and deciding that doughnuts which have amazing flavours and crazy toppings was just what was needed in the UK. They offer a delivery service within a certain radius so was super excited when I heard the knock on the door and a huge box of deliciousness being delivered to me. Richard talked me through the flavours. Sugared, Chocolate Fudge and Strawberry Cheesecake. I was amazed by how good these doughnuts look. From looking at them, straight away I knew they were going to be really good quality. They just looked really well made, you know? I couldn't wait to get stuck in and wanted to make sure I ate them when they were as fresh as possible as they were only made earlier that day. A simple yet effective sugar dusted doughnut. If you're looking for the perfect flavour to go with a cup of tea, this is the one. 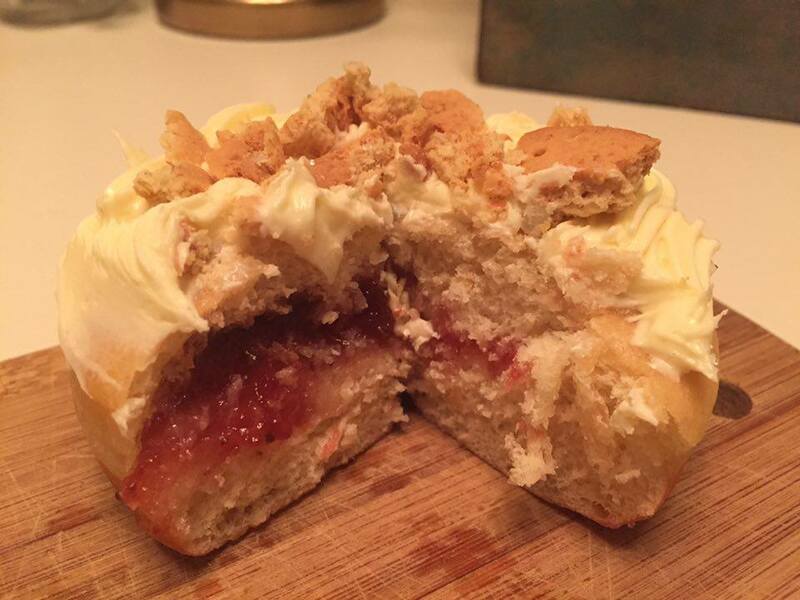 Although there was no filling (I was expecting jam in there), it still remained really moist which surprised me as I thought it would have been dry otherwise. 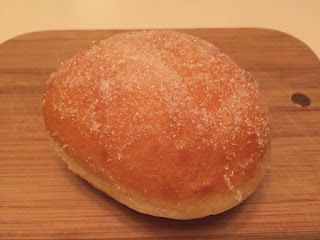 They do offer a jam filled, sugar dusted doughnut, so I can imagine that's even more amazing. One for the chocoholics! Topped with a deliciously rich and smooth chocolate ganache and cute little cubes of fudge. No filling in here either but the topping is all you need to enjoy these amazing flavours. I hate to admit it, but sometimes there is such a thing as too much chocolate and it can ruin dessert type things. No need to worry here though, it's a perfect balance of everything. It's a doughnut, but it's a cheesecake?? Mind blowing! This one is jam packed...literally, with strawberry goodness, topped with a creamy, silky cream cheese frosting and finished with crumbled digestives. All of the components of a strawberry cheesecake, amazing! I particularly loved the frosting, if it came in a jar, I would have sat eating it all day. Out of the three flavours I was so kindly given to try, my favourite was without a doubt the Strawberry Cheesecake. I mean come on, look at it! It could be a cake if it wanted. All of the Halo Donuts were so, so good. All were moist, the flavours and combinations of flavours were very tasty and were just really good quality. I've got my eyes on the Lemon Poppy Seed and Caramac flavours next. 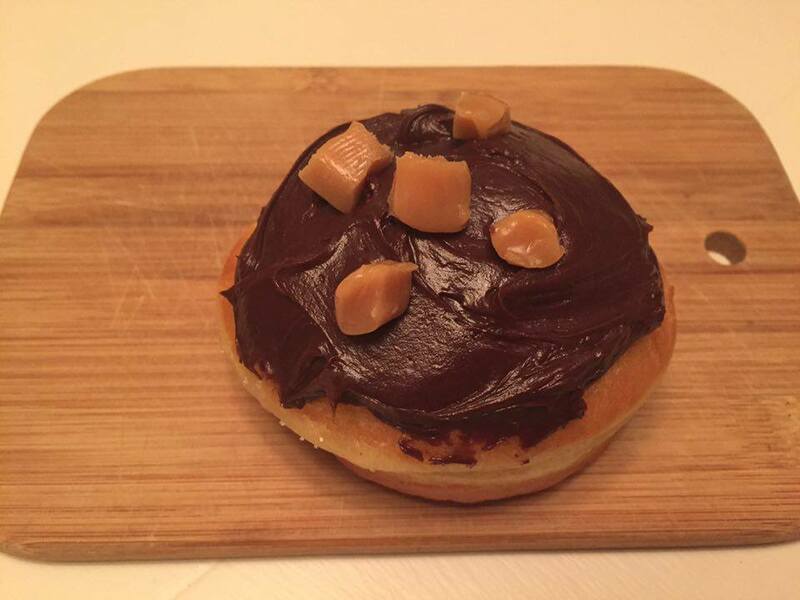 Halo Donuts are also very flexible with what they can produce. Whether you are wanting a particular flavour, colour, you have special dietary requirements or you're looking for something different altogether, they are happy to give it a go and see what they can do. Prices start from £10 with a minimum order of 12 doughnuts. A box of these is a great alternative to a birthday cake, I'm going to be remembering that for next year. If you place an order, let me know what flavours you go for! There's nothing better than supporting a great local business. Thanks for reading and thanks to Richard and Shanade for these amazing goodies.